E-Force 2008-2010 Corvette 550 HP Complete Supercharger Kit  : Supercharger Superstore, Your Online Source for Vortech Superchargers, Paxton Superchargers, Procharger Superchargers, Magnacharger Superchargers and Techco Superchargers! Now you can boost the power in your 2008-10 LS3 Corvette to near ZR1 performance! These new E-Force Supercharger Systems are exclusively tailored to boost your performance to 554 flywheel horsepower and 515 ft./lbs. 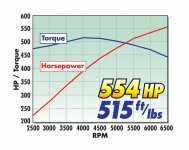 of torque (with stock fuel pump) or 599 flywheel horsepower and 547 ft./lbs. of torque (includes high volume fuel pump). 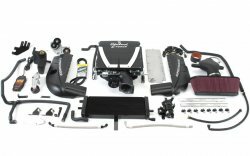 The unique features on these kits are the 12" long intake runners that allow for maximum low end torque and the optional 5 year 100,000 mile supplemental warranty. Plus, this kit fits under the stock hood with no modifications. Not compatible with Z06 or ZR1 models. * Will fit 2010 Grandsport Model. Grandsport models equiped with dry sump oil system may require additional hardware. * Not legal for sale or use on pollution controlled motor vehicles. Click to download a printer friendly Supplemental Warranty Info PDF (you will need Acrobat Reader® in order to view this PDF). If you do not have this installed you can download it by clicking the icon.